Ancient Nom lost 1 pound due to a special chocolate diet. game: The reset button. While technically yes, it is still here, it is incredibly annoying to have to open the menu every time I mess up the third star. Having the button be right next to the menu button just made everything much smoother and needless to say, faster too. 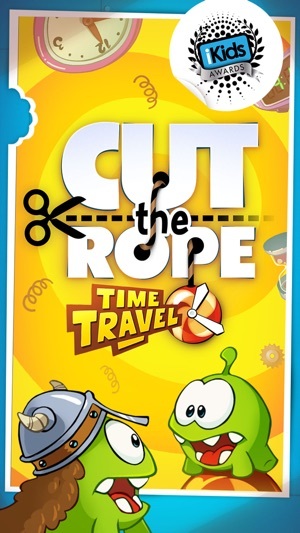 Overall, all the fun, main, features of the Cut The Rope games are still here, and better then ever. 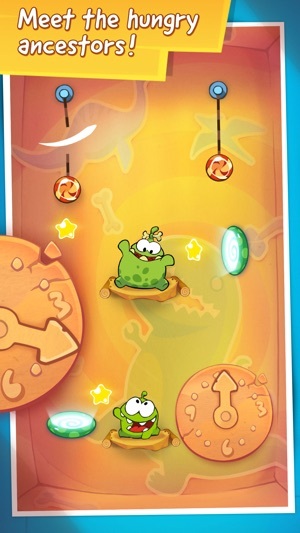 If you are on the edge on whether or not to try this game, I would say “Go for it” every single time. Each Chapter Has A Perfect Feature! So When I Played This Game It Was A Lot Of Fun! In The Middle Ages, There Are Chains That Can Be Cut From Spears! In The Renaissance, There’s A Freeze Button To Freeze EveryThing! 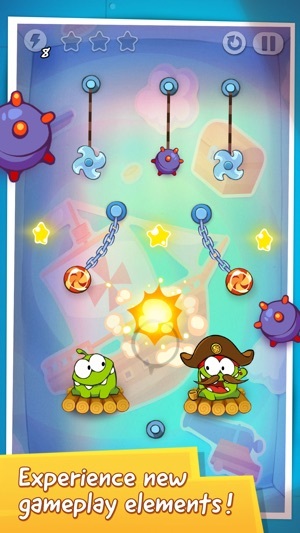 In The Pirate Ship, There Are Mines That Explode The Candy And It Won’t Be Harmed! In Ancient Egypt, There’s A Flying Candy With Wings! In Ancient Greece, There’s A Button That Changes Platforms With On Nom And Greek Nom! In The Stone Age, There’s A Clock That Changes Every Thing Used With It! In The Disco Era, There’s A Dangerous Laser And A Disco Ball To Protect The Candies From The Laser! 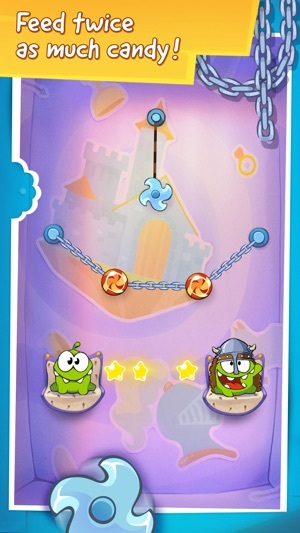 In The Wild West, There’s A Rope Around The Candies To Connect Them From A Rope! In The Asian Dynasty, There’s A Chinese Fan To Cover Everything Except Candies! In The Industrial Age, There’s A Magnet Button To Make The Candies Magnetic To Themselves! In The Future, There’s A Candy With A Atenna To Move Future Nom’s Platform! And In The Parallel Universe, It Has Every Feature! I have 3 stared every level and found all the hidden snowflakes. 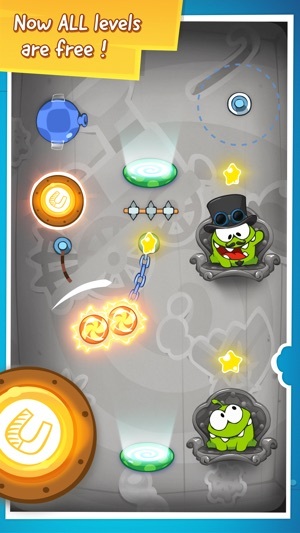 And I CANT WAIT for new levels to come out!